The purpose of this book is to provide a rigorous yet accessible introduction to the modern financial theory of security markets. The main subjects are derivatives and portfolio management. The book is intended to be used as a text by advanced undergraduates and beginning graduate students. 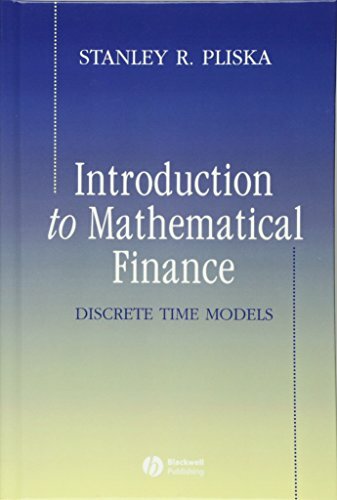 It is also likely to be useful to practicing financial engineers, portfolio manager, and actuaries who wish to acquire a fundamental understanding of financial theory. The book makes heavy use of mathematics, but not at an advanced level. Various mathematical concepts are developed as needed, and computational examples are emphasized.